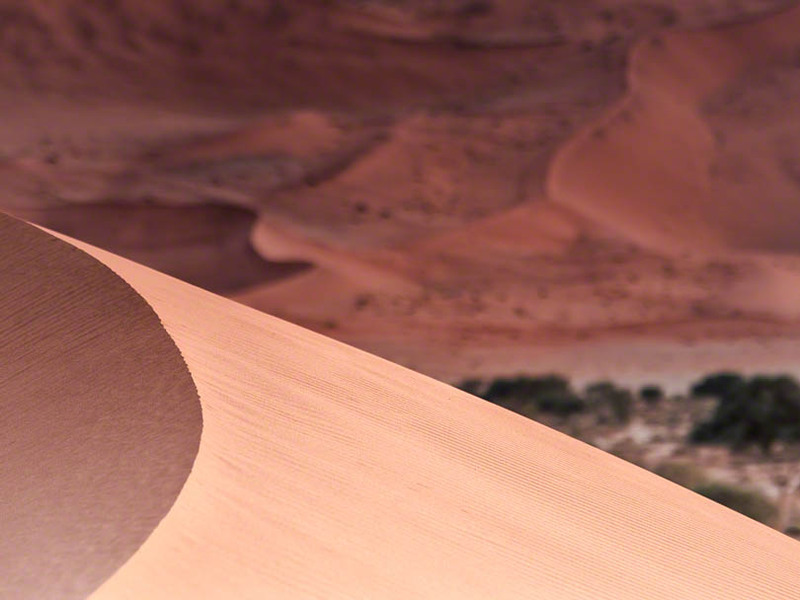 Namibia is a travel and nature photographer’s paradise. It is often described as ‘Africa for beginners’ because it is one of the most accessible and easy to get around of Africa’s many countries. It is politically stable, has good road infrastructure (by African standards at least) and a well-organized network of lodges, parks and tourism operators to serve its growing number of international visitors. There are many photographic tour operators offering packages to Namibia but if you prefer, it is also easy to do a self-drive holiday that will take in the locations that appeal to you most. Find a local travel agent with good contacts (such as Chameleon Safaris) and plan it yourself but be prepared for long stretches of corrugated gravel roads in the more isolated reaches of the country. A four-wheel drive vehicle is not mandatory but certainly recommended. The capital Windhoek is small, neat and quite prosperous. It is located roughly central to the country and has some really nice accommodation to help you recover from your flight before you head off. In broad strokes, if your interests lie in wildlife or indigenous cultures you should head north, but if photographing some of the most amazing arid landscapes on earth are more your thing then you should head south. Better still do both! A short article like this simply cannot do justice to such an amazing place so I will just try to highlight a few of the more memorable places that I have been to on my two trips and show Namibia as a country that offers truly remarkable diversity in its photographic opportunities. 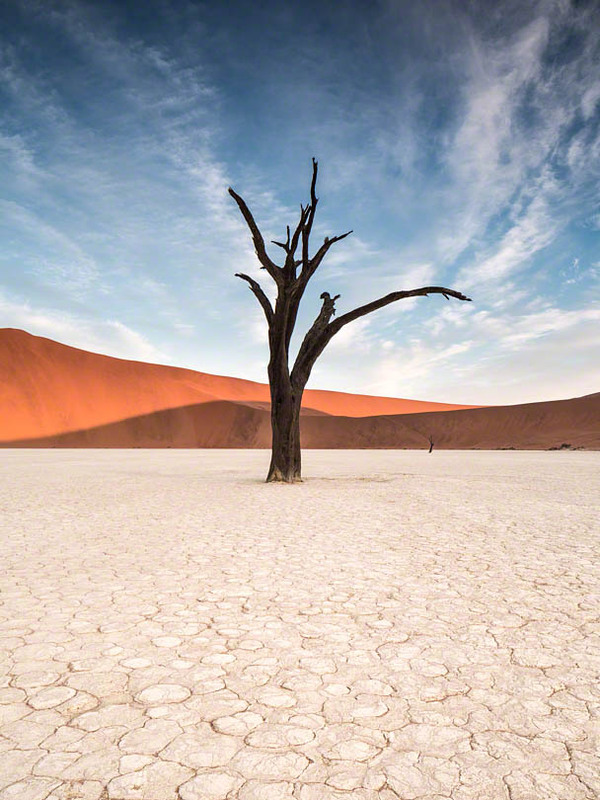 Probably the most well-known part of Namibia is Sossusvlei with its breathtaking red sand dunes and the totally iconic Deadvlei with its crazed clay base and dead tree’s. This is the must-see location for landscape photographers in southern Namibia but there are certain challenges to getting good images of such a well-known place. Obviously finding new compositions or weather conditions in an oft-photographed place is always a challenge but there are options and the graphical nature of the setting makes for really satisfying image making. 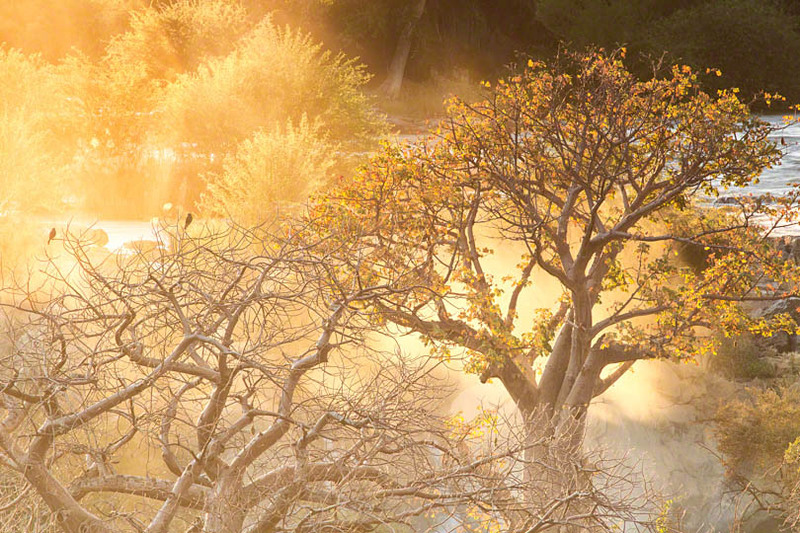 However, the main challenge is getting there during the golden hour. 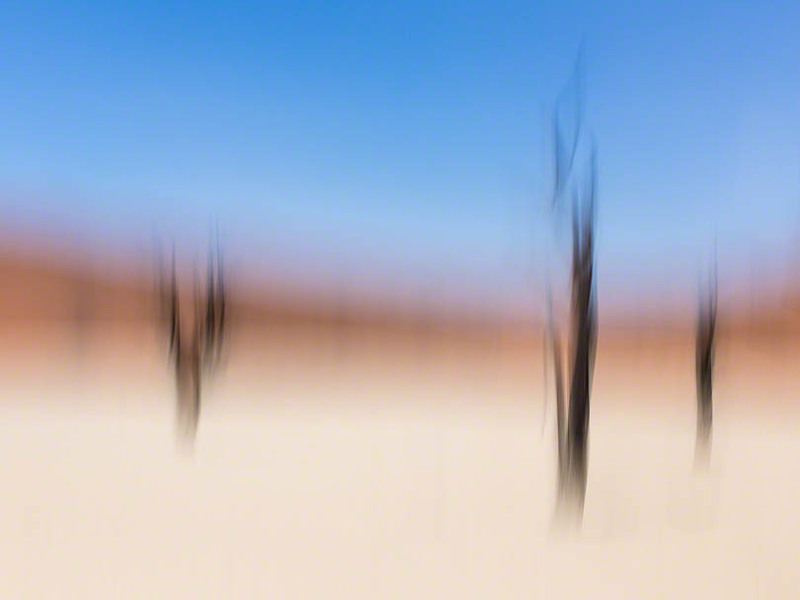 Deadvlei is inside the Namib-Naukluft national park whose gates are closed until sunrise. The only way to get in earlier is to stay at the Sossus Dune Lodge which is based just inside the park with its own access and vehicles. You should be able to arrange for the lodge staff to shuttle you in early enough to get nice morning light while there are no other tourists around to get in your shots. It’s also worth spending time exploring the dunes for detail shots or stopping by the side of the road in the evening to capture the sweeping grandeur of the dunes. 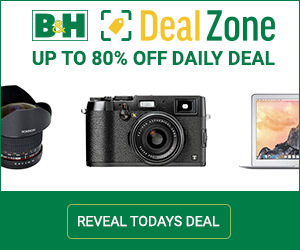 You will find uses for your telephoto lenses as well as your wide angles as the composition options are endless. Spitzkoppe is a unique granite geological formation in the Namib Desert. It has camping area’s that offer great access close to interesting rock formations that have views of the main Spitzkoppe peak. One such location has a rock bridge that can be photographed during the golden hour or at night. I spent a wonderful evening here shooting well into the night then rolling out a camp bed and mattress on top of a granite dome and sleeping under the milky way. I would love to go back here as the skies weren’t particularly favourable at the time. 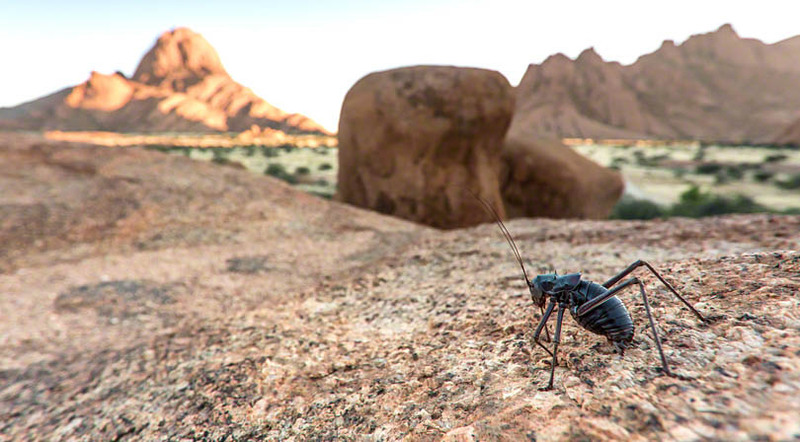 As always it pays to look out for the unusual image and make the best of what presents hence my ‘insect landscape’ image which captures both the Spitzkoppe peak and some fauna. Heading north along the coast road on the way to the city of Swakopmund, it is well worth stopping for a few hours at Walvis Bay. This prosperous harbour and fishing town is notable for its ‘millionaires row’ of expensive houses and the lagoon where you may find flocks of flamingos and other sea birds feeding in the nutrient rich waters. You can literally pull off the street into a carpark and sit on the kerb with a 500mm lens and shoot the flamingo’s as they go about their business. 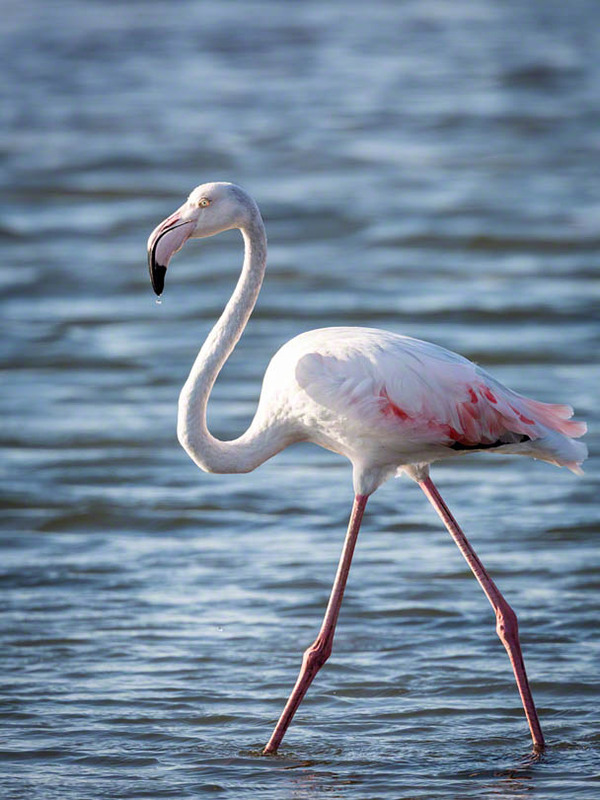 Again, flamingos are not the creature that first springs to mind for most people when thinking about Namibia. Further along the coast road you will see enormous sand dunes, beaches, a wrecked ship, the German architecture of Swakopmund and eventually even a seal colony. Okonjima is the second best place for wildlife photography in Namibia and probably the best place for big cat photography. 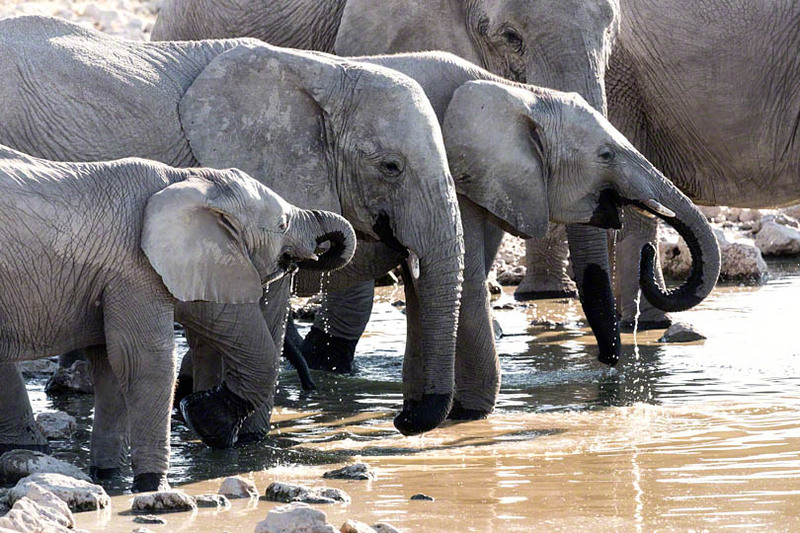 It is not too far from Windhoek so makes a great first stop and introduction to Namibia’s wildlife. 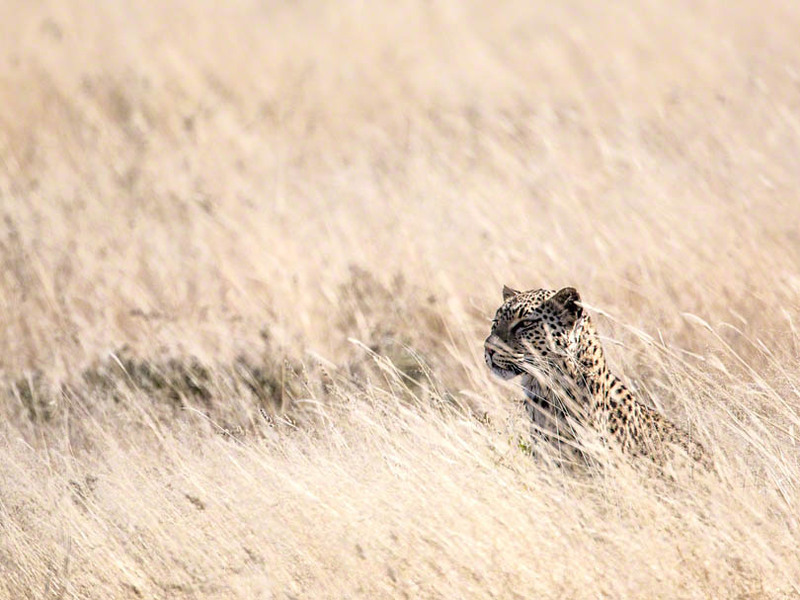 Anyone who’s been to Africa in general or Namibia in particular will tell you that there are no guarantees about seeing leopards or cheetah’s (lions are a little more common and less secretive in game reserve areas). This rule doesn’t apply at Okonjima. Due to its role as a big cat conservation and research centre (and the home of the Africat foundation) they have wild leopards and cheetahs on the reserve that are wearing radio collars that the guides will use to find them on your game drives. It’s even possible to get images of these animals that don’t show the collar, as you can see in the below photo of the most impressive male leopard I have ever seen. 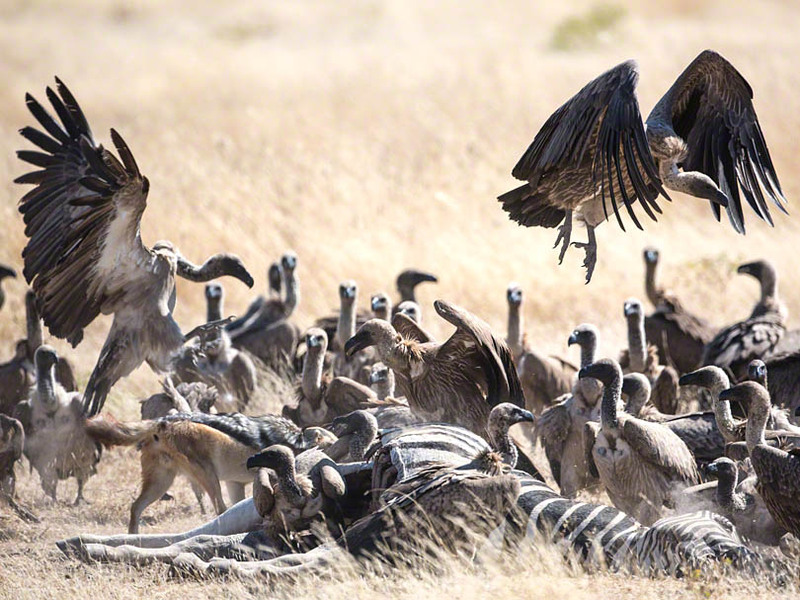 Aside from the cats they have the usual menagerie of Namibian game except for lions. 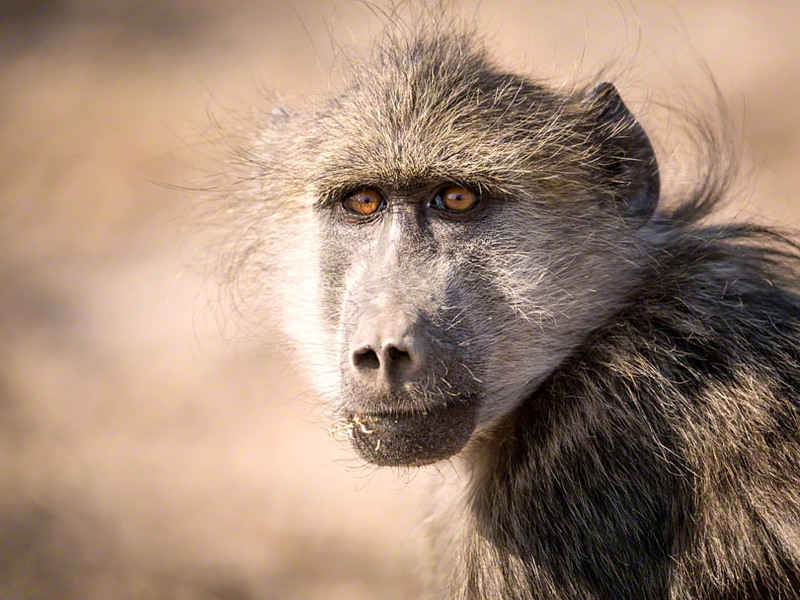 Visiting here is great for photography but your money will also go to the conservation efforts in Namibia. In the far north of Namibia, at the end of a long, rough gravel road is an amazing place. Namibia is not known for copious amounts of water, but here the river bordering Angola plunges over Epupa falls offering outstanding opportunities for telephoto lens landscape photography. Early morning shots are the best because you can get a golden glow from the rising sun shining through the waterfall spray. The comfortable lodge has a waterside dining and bar area that offers occasional views of the huge resident crocodiles. 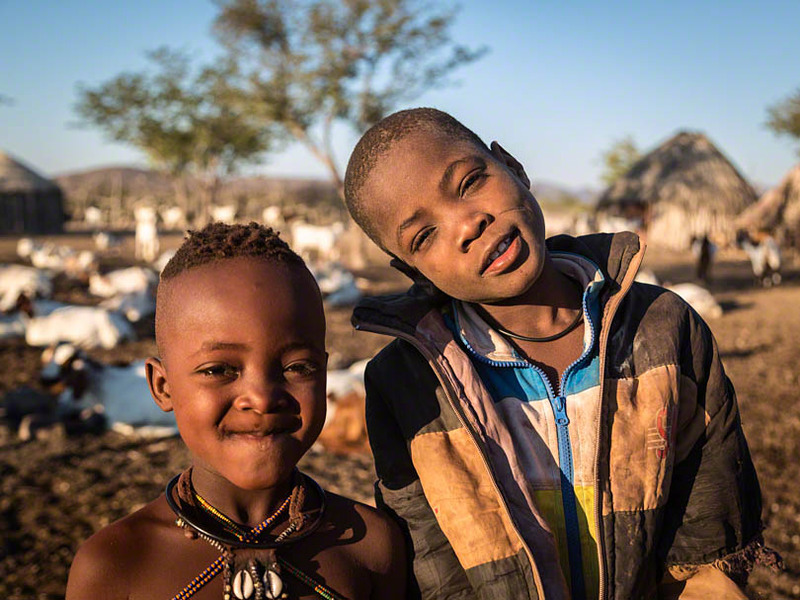 The other main attraction of the Epupa Falls area is the opportunity to visit with local Himba people who are still living largely traditional lives. Himba guides can be hired privately or through the lodge to take you into the village for guided visits. A large amount of respect and friendly patience will get you some nice images both casually in the village but also during some demonstrations inside the huts. A really fast 35 or 50mm lens will come in handy for the natural light shots inside the mud huts as the only light coming in is from the doorway. 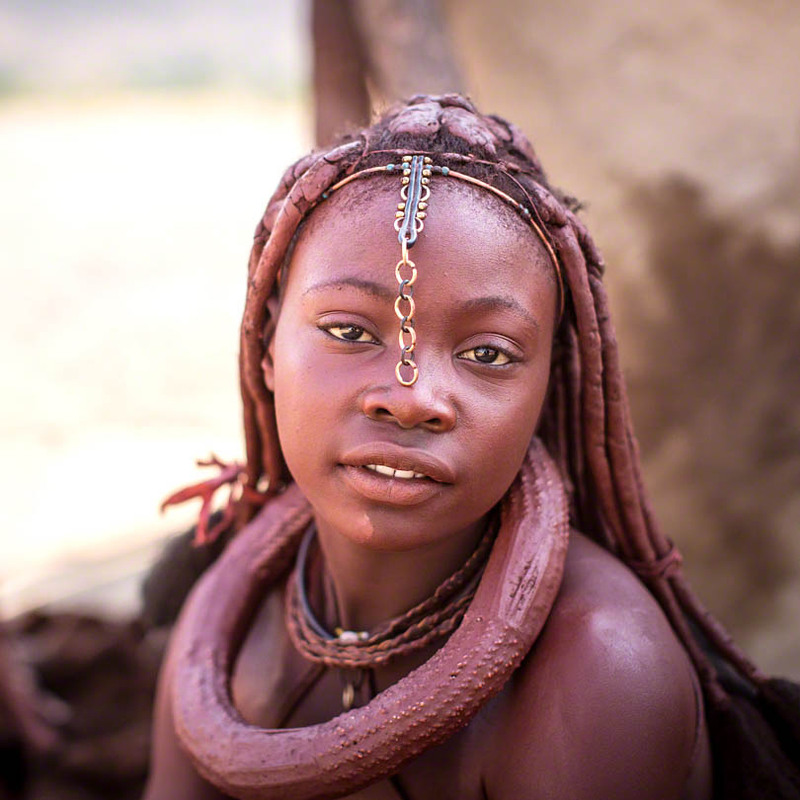 The Himba women are the upholders of their traditional cultures and have some unique ways of attiring themselves with their clothing, jewellery and the red ochre coating they put on their skin. The best time to visit the villages is at dawn or late evening which will allows for better light and some off-camera flash photography but this is difficult to arrange without spending time getting to know people in the area. 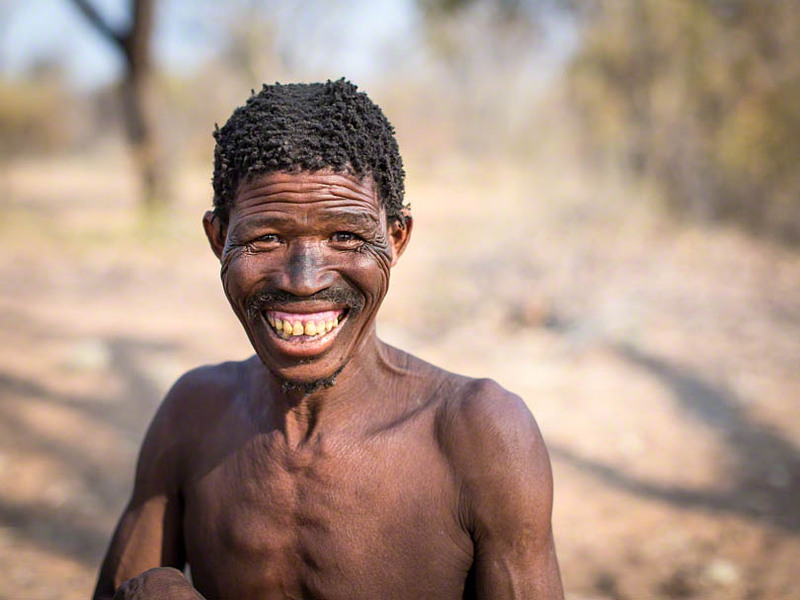 One of my Epupa visits was in the company of experienced Australian photographer Ben McRae who has spent years building up a relationship with a particular village which allowed fantastic access and photo opportunities. 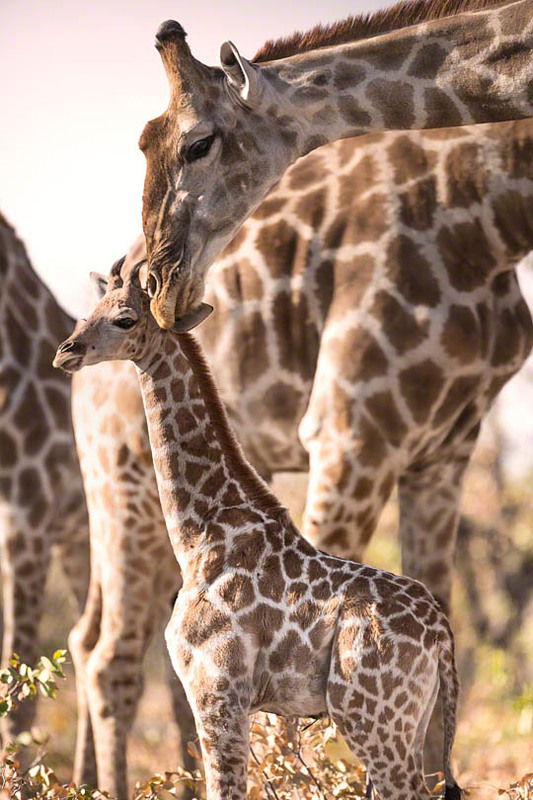 Etosha National Park is one of the iconic wildlife locations of southern Africa. At its heart is the Etosha pan, a dry lake bed stretching to the horizon, which is virtually featureless. Surrounding this there are stretches of grassland and scrubby woodland, interspersed with a smattering of natural and man-made waterholes which is where most of the wildlife viewing takes place. 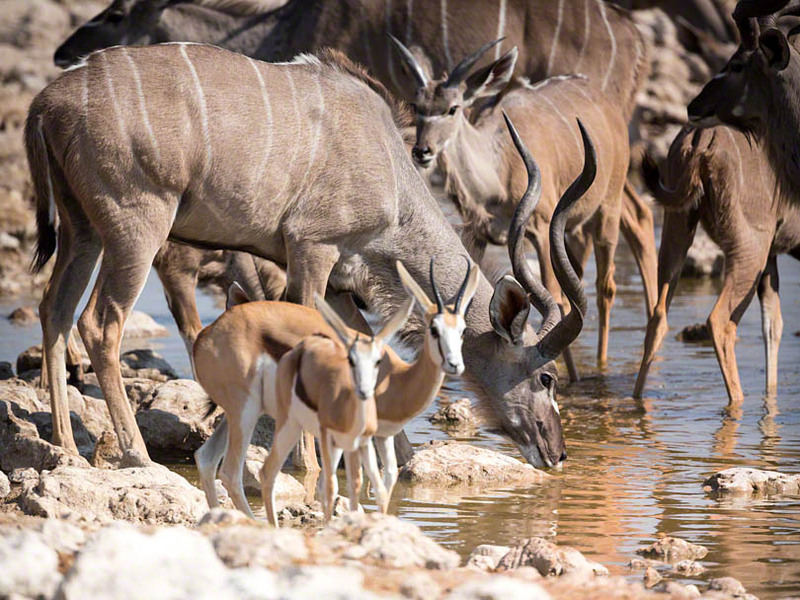 The two best locations in Etosha, in my opinion are Okaukeujo waterhole and Chudop waterhole. Okaukeujo is the biggest lodge and camping area in the park and has an amphitheatre like waterhole where a constant stream of animals is present at all hours. You can spend a whole day sitting around taking pictures. If you get one of the waterhole chalets, you can sit with a glass of wine on the balcony watching the scene, ready to dash down to the waterhole the minute a lion appears. Whole herds of elephants will come here to drink and it is one of the few places in Africa where you are virtually guaranteed to see black rhino. Usually there will be a number of them coming to drink at the same time in the late evening after the sun has gone down and you will be shooting under the light of floodlights but the rhinos can also be seen elsewhere in the park and at other waterholes. 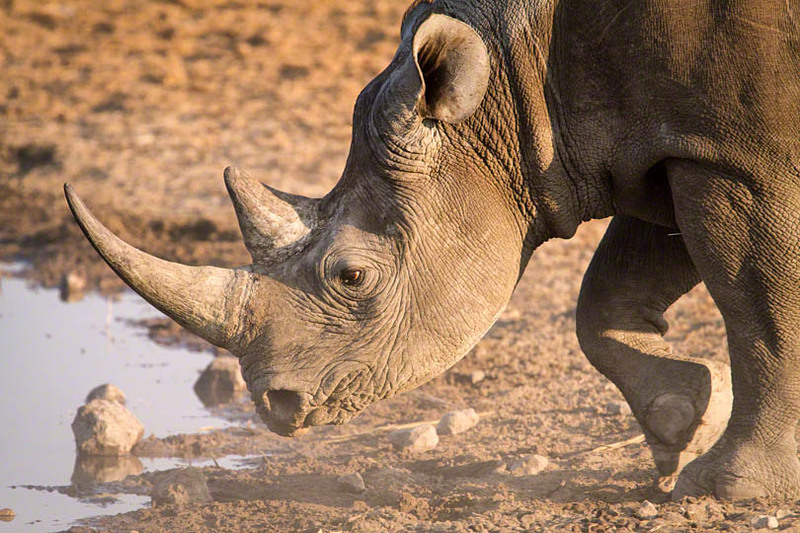 The below rhino image was taken in the early morning at Chudop waterhole. Chudop waterhole is not co-mingled with a lodge but is still a convenient distance from Namutoni lodge (you can time your curfew run to the lodge gates to the minute). I have had some great sightings here. It has some greenery in the form of some reeds and has a nice, brown earth surround rather than the less attractive white clay and rocks that many of the other waterholes have. 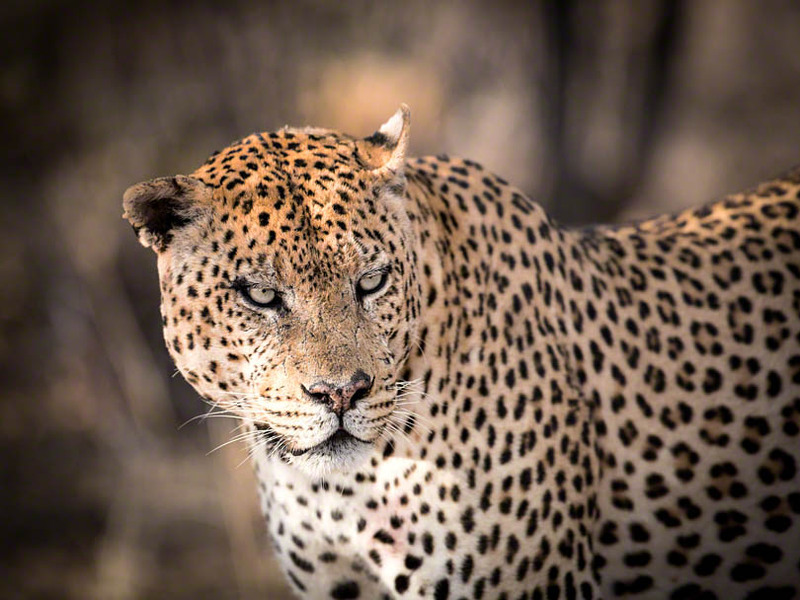 As you drive through the park from waterhole to waterhole, you need to keep your eyes peeled as animals are unpredictable and can appear anywhere at any time such as the below leopard, a rare sight in Etosha. 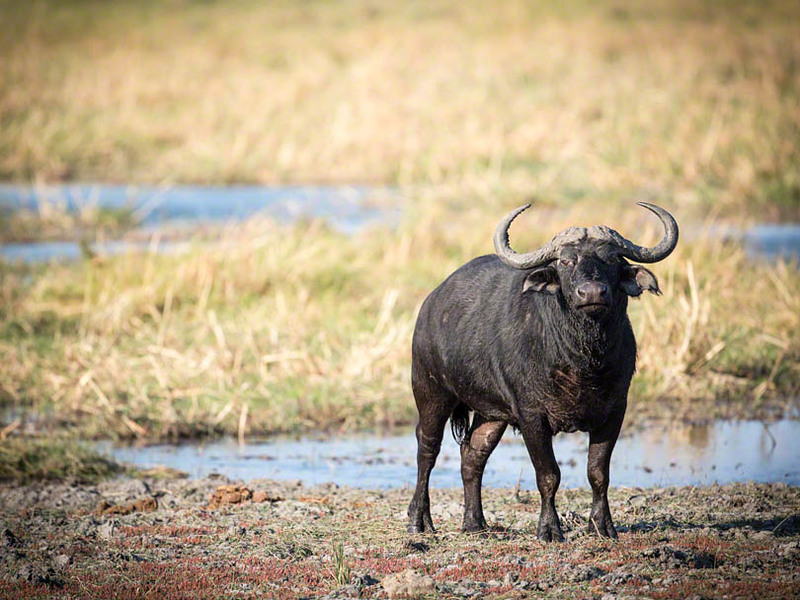 If you want to see hippos and buffalos (both animals that need lots of water) in Namibia, you need to head to the very north east corner of the country and enter the Caprive strip (the panhandle area of Namibia). Here you will find a populated and river dominated environment that is not too dissimilar to the Okavango Delta regions of Botswana. Nunda River lodge on the banks of the Okavango river is quite close to the Mahango and Buffalo Core Area game reserves but you can, if you want, continue down the Caprivi strip and make your way to Zambia, Botswana or Zimbabwe. 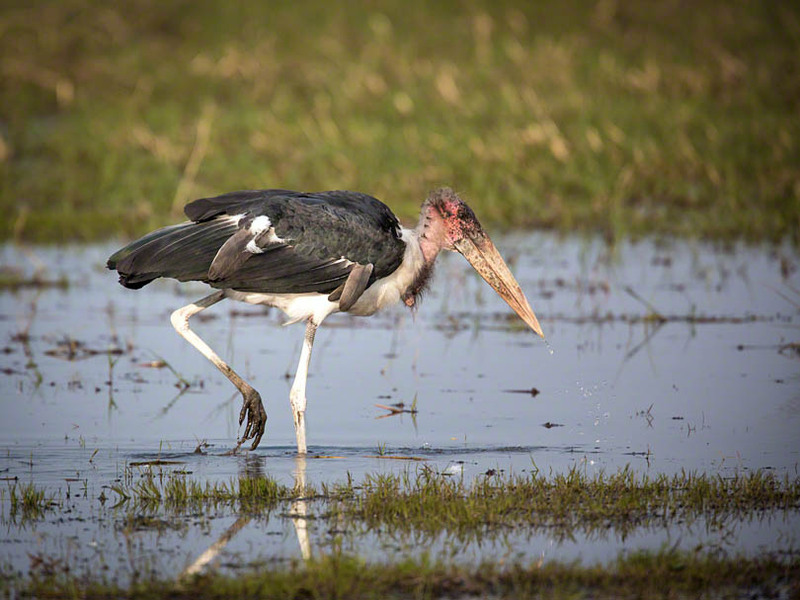 The Buffalo Core Area reserve has a large wetland where you can see herds of buffalo, elephant, hippos and waterbirds. If you’re lucky you may see lions which also inhabit the area. On my visit there I came across two baby elephants that had been killed by lions though I did not see the culprits themselves. Boat trips on the river to see crocs or hippos and the local rapids complete the experience along with sipping gin and tonics on the lodge deck while you watch the local otter family fishing. 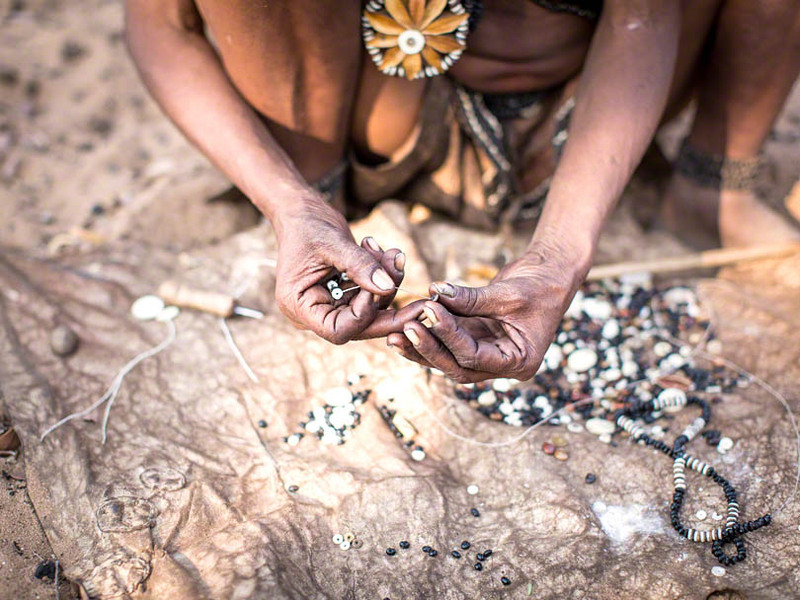 One of the best places to experience the indigenous culture of the San or “bushmen” is the Living Museum, not far from Roys Camp lodge in eastern Namibia. It is a cultural centre where you can learn about and participate in traditional crafts or arrow making and interact with the people with the aid of the San guide. They are very used to being photographic subjects and are very welcoming. It’s not the atmosphere for candid ‘street’ style photography as the second you point a camera the smiles and poses come out, but for lovely portrait style images it’s great. 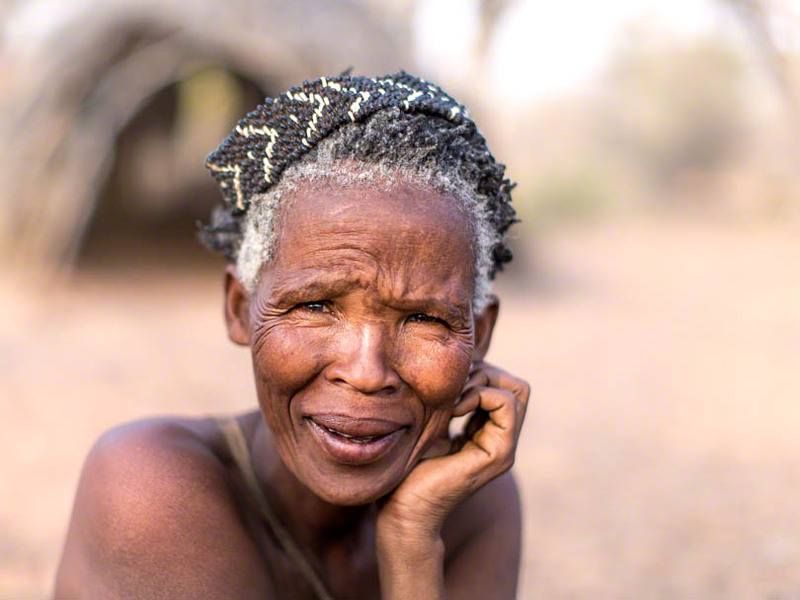 On both of my trips to Namibia I shot with Canon gear – mostly with a Canon 5D mk3. My most used telephoto lens has been a Canon 500mm F4 with and without the 1.4x extender. 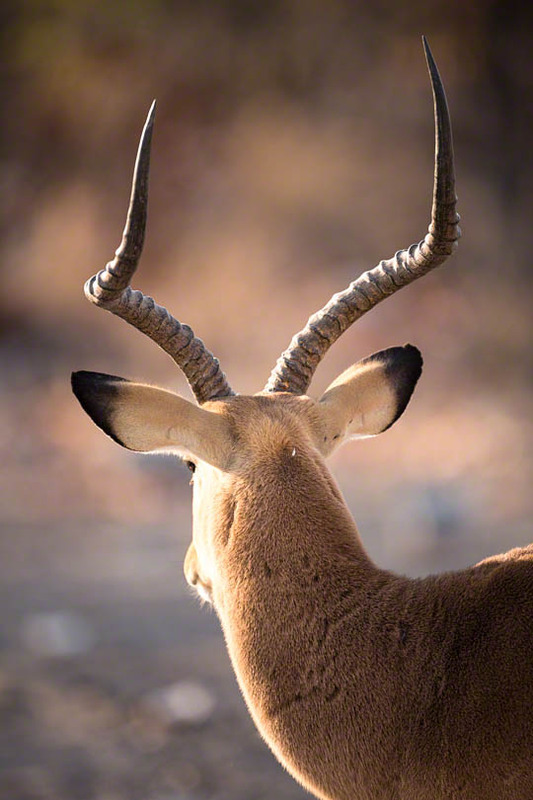 Shooting from the road or parked beside a waterhole often means the longer focal lengths are very handy. I will go to my Canon 7D for when I want to get really close up shots (like the one of the rhino above). For the cultural photography of indigenous peoples, I will happily shoot just about everything with my 50mm f1.2 lens. It is compact, tough, has great bokeh and suits the head and shoulders portrait or moderately telephoto scene that I like. For landscapes it’s really up to personal preference, but I will say that even if you prefer shooting wide angle lenses most of the time (which I do) there really is plenty of scope in Namibia for shooting landscapes with telephoto lenses. The 100-400 is the ideal lens to capture Epupa falls for instance and amongst the sand dunes it is equally useful. I can’t recommend Namibia highly enough for anyone that has ever dreamt about photographing in Africa or has already been to Africa but hasn’t yet seen the remarkable range of photographic opportunities there are in this small but wonderful country. The people are charming, the scenery inspiring, the animals diverse and the experiences endless.